Bill Franks, Chief Analytics Officer (CAO) of Teradata spent some time with us this week to talk about next week's Predictive Analytics World activities! Predictive Analytics World that takes place during Data Driven Business Week March 14-15 in San Francisco. Any thoughts you would like to share about the upcoming Predictive Analytics World 2011 Conference? What role are you playing at the conference? Bill Franks: I am looking forward to attending the show for what will be my third time. Once again, Teradata is a sponsor alongside SAS. I have been impressed at the quality of the talks at the PAW shows I've attended. Most speakers give a talk from a practitioners viewpoint aimed at other practitioners. There is not much in the way of high level introductory talks that would be too easy for the audience. Also there is not much in the way of very deep, technical research talks that wouldn't be applicable to what the audience does day to day. PAW has been able to get a really good mix of content. I'll be networking with our clients and industry contacts I have, with the Teradata booth as the home base. I hope to sit in on at least a few of the sessions myself. In general, I'd recommend that analytics professionals consider this show. I've seen a lot of shows that totally miss the mark. Predictive Analytics World is not one of them. What do you think are some of the common challenges customers face before embarking on a predictive analytics project? Bill Franks: I think one of the most common challenges is getting all the data together and preparing it to feed into predictive models. There are issues in terms of just getting access to the data, getting the data sufficiently clean, and managing the size of many of the data sources analysts use today. That's a large part of what brought me to Teradata. Teradata has tools that can help analysts improve their efficiency and let them focus more on analytics and less on data manipulation and preparation. We've also worked closely with SAS the past few years to develop some tremendous tools for SAS users that enable them to take full advantage of what Teradata offers while still working in the familiar SAS environment. I don't think many analysts have realized how leveraging a scalable database environment like Teradata can improve their analytic processes. By sponsoring the PAW show, Teradata is aiming to talk directly to the people and teams that can benefit. I think the story of what SAS and Teradata can do is very compelling. We just have to continue to get the word out to those who will benefit. Based on your customer engagements, what are some of the hot new areas in predictive analytics offering the most potential in next 3 to 5 years? Bill Franks: One of the areas that is suddenly quite hot is the "Big Data" space. There is a lot of confusion around what that means exactly. But, a common theme is the analysis of very large, somewhat unstructured data like web logs or sensor data. You may need to look at every record at the time it is created in order to identify actions to take. But, most of the data isn't needed after the immediate term. I see a tremendous opportunity for analysts to become proficient in "Big Data" along with traditional analytics. The two complement each other nicely. With Teradata's recently announced acquisition of Aster Data, we will be focusing on merging these two worlds. I'm also continuing to see increases in the sophistication of customer analytics. One hot area right now is the integration of detailed click stream history for each customer with all the other customer data. There are some amazing success stories out there about what integrating a customer's click stream can provide. Special thanks to Bill for taking time to talk to me about Predictive Analytics World. Please stay tuned for more pre-event interviews regarding the upcoming March 14-15 conference! Be sure to let me know what you want to hear more about prior to Predictive Analytics World or send me something you'd like to share on sascom voices. 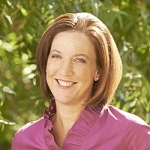 Kristine is an energetic, innovative, results focused marketing practitioner. She strives to share great analytical stories and successes. Kristine helps others see the big picture while taking care of details and thinking of creative ways to get more done!